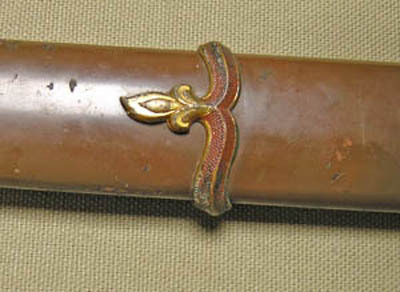 This is an excellent gendai-to modeled after an early tachi with an ikubi kissaki and bo-hi. The hamon is Suguha/midare in very fine ko-nie. 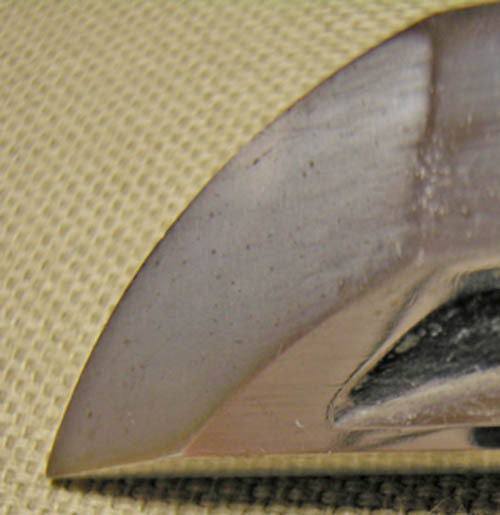 Blade Length: 27.56 inches Nakago: 7.125 inches 7 mm thick and 29 mm wide at Hamachi. 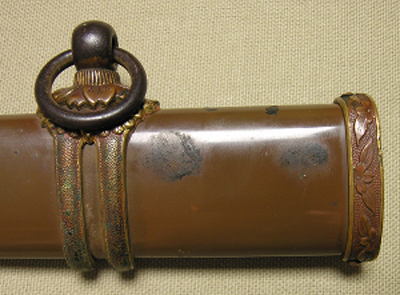 The sword is signed: Nidai Minamoto Yoshichika Saku Kore. The blade is very well made and with the length, shape and bo-hi it would make a fine sword for iai or for the collector of top quality Gendaito or WW II militaria. 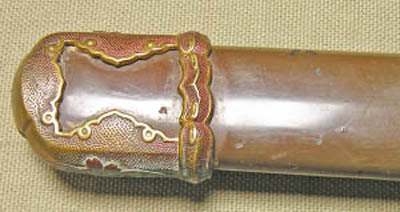 2nd generation YoshiChika was famous for making swords that cut extremely well. Many of the imperial palace guards carried swords made by him. This is a very rare signature for the 2nd generation Smith. The cutting test was performed by Nakayama Hakudo, a very prominent swordsman in the Showa era. 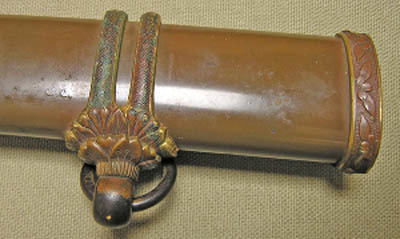 The mounts are1934 Pattern army shin-gunto mounts of good quality with sukashi tsuba and gold washed Habaki. The mountings show the wear and tear of combat but everything matches and is in nice condition. These swords are quite hard to come by and in high demand, especially one that is this long. A picture of Nidai Minamoto Yoshichika can be found in page 255 of John Slough's book An Oshigata Book of Modern Japanese Swordsmiths1868-1945.